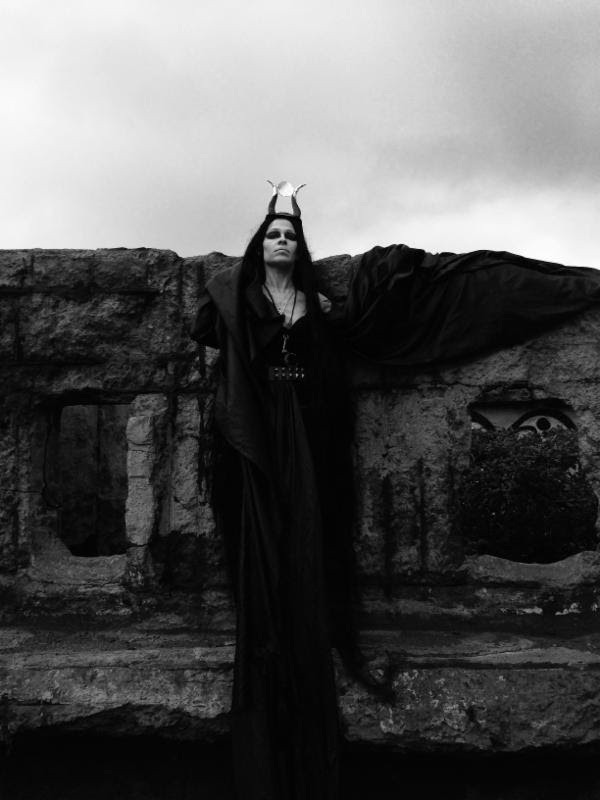 Karyn Crisis — best known for her trademark melodic singing and growling roars as the vocalist of CRISIS (1993-2006) and EPHEL DUATH (2011-2014) – has returned with a new project, KARYN CRISIS’ GOSPEL OF THE WITCHES, and consequent album, Salem’s Wounds. Out now in Europe and due out March 24th in North America via Century Media Records, Salem’s Wounds contains 13 tracks recorded by Karyn together with Davide Tiso (EPHEL DUATH), Ross Dolan (IMMOLATION), and Charlie Schmid (VAURA). Haven’t heard Salem’s Wounds on #TWRradio? What the hell is wrong with you? Salem’s Wounds was financed by fans via websites like Indiegogo/Etsy and was recorded at The Basement Recordings in North Carolina with producer Jamie King (BETWEEN THE BURIED AND ME, THE CONTORTIONIST). The album cover was painted by Karyn herself, who (in addition to her vocal talents) is a respected painter and leather-worker. This entry was posted in METAL and tagged #TWRradio, Between The Buried And Me, Bob Vigna, Century Media Records, Charlie Schmid, Crisis, crowd funding, Davide Tiso, EPHEL DUATH, Etsy, female-fronted metal, Gospel of the Witches, IMMOLATION, Indiegogo, Jamie King, Karyn Crisis, new video, Ross Dolan, SAINT VITUS, Salem's Wounds, The Contortionist, Trick Shot Billiards, Vaura. Bookmark the permalink.